EnviroSolutions significantly reduced time to closure and closure costs at a commercial site with a thorough investigation and risk assessment. Another consultant had installed and operated a groundwater and soil vapor extraction system at a site to address the “contaminated” soil and groundwater. A catalytic oxidizer, groundwater pumps, blower, granular activated carbon units and significant piping supplies were purchased and installed at the site. After more than a year of ineffective system operation, the property owner asked EnviroSolutions to take over the remediation. Prior to re-starting the system, EnviroSolutions completed a thorough evaluation of the site data. 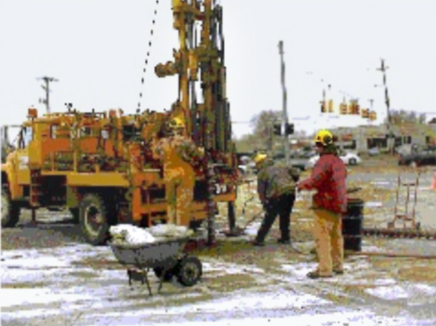 EnviroSolutions determined that additional soil borings and monitor wells were necessary to fully evaluate the site conditions. Following installation and sampling of additional monitoring wells, it was determined that the system that the client spent so much money on was not necessary to achieve site closure. EnviroSolutions completed a risk assessment that involved statistical evaluation of the site soil concentrations and calculation of site- specific clean-up levels. This assessment showed that the site satisfied residential cleanup criteria. EnviroSolutions prepared and submitted a closure report for an unrestricted residential site closure. Call us today to discuss how an accurate and thorough site investigation and risk assessment can save you the cost of installing an unnecessary or ineffective treatment system.